This is the story of how one expat woman left her beloved behind when she moved to France-her beloved kale, that is. Unable to find le chou kale anywhere upon moving to the City of Light with her new husband, and despite not really speaking French, Kristen Beddard launched a crusade to single-handedly bring kale to the country of croissants and cheese. 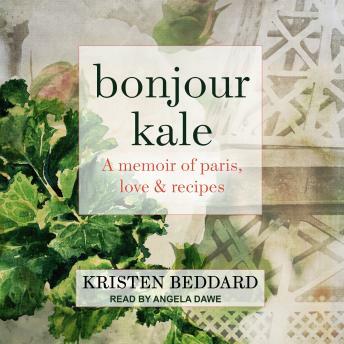 Infused with Kristen's recipes and some from French chefs, big and small (including Michelin star chef Alain Passard) Bonjour Kale is a humorous, heartfelt memoir of how Kristen, kale, and France collide.